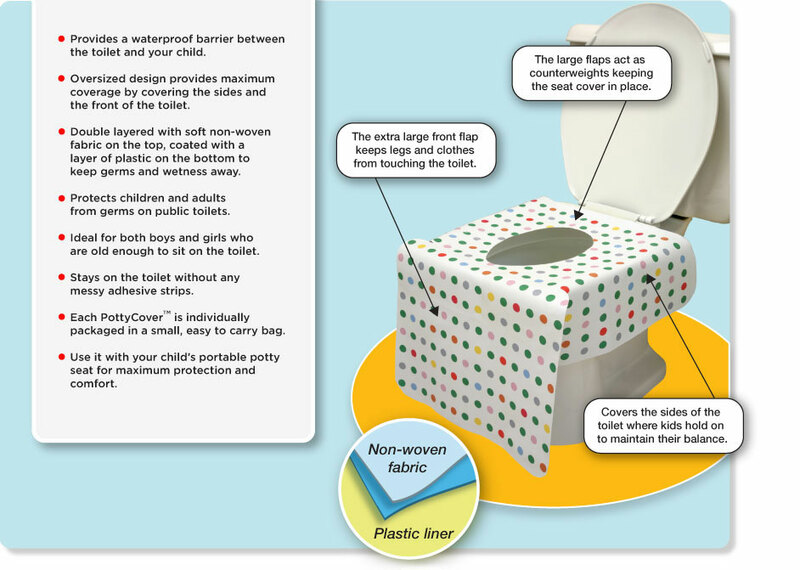 Ever been out and about with your little one and they of course need to go to the bathroom? Every Momma knows that no matter how many potty breaks you try to squeeze in before you leave the house it is inevitable that you wind up taking your Sweet little munchkin into a dirty sticky unkempt gas station, store or park restroom. 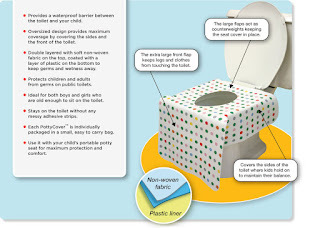 If your like me you cringe line the toilet with about a roll of toilet paper and still try to hold your little one over the toilet, to avoid letting them sit on that disgusting seat. 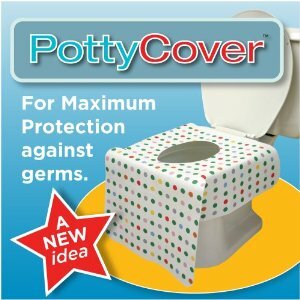 well now there is a wonderful thing called Potty Covers. What are they? 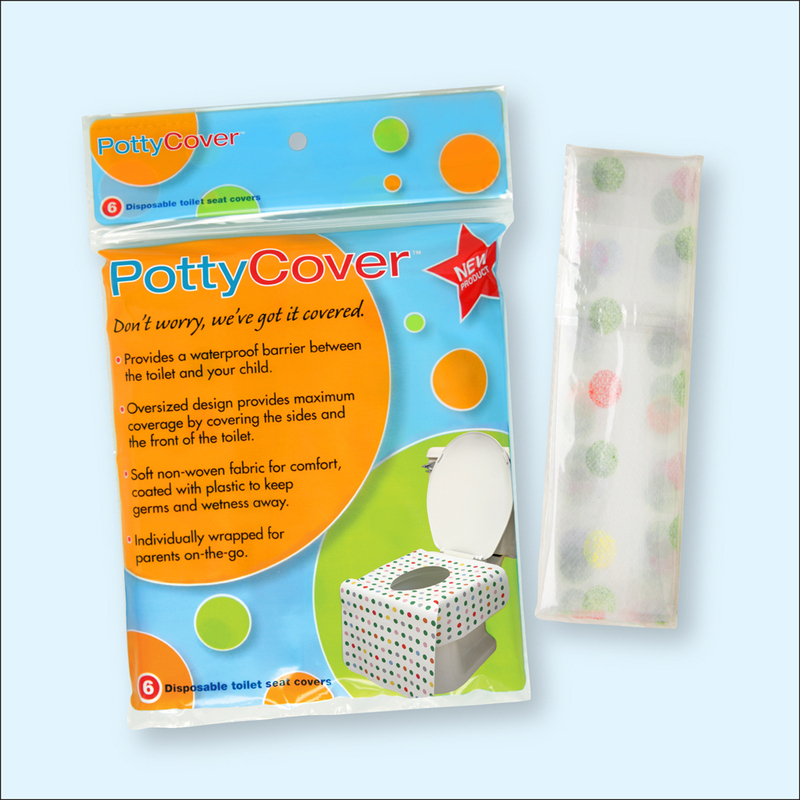 Potty Covers a a disposable cover to put onto a public toilet to protect your little ones tushie. They have a material like feel on the skin touching side and a plastic coating on the under toilet touching side. This protects your child from ANYTHING that may be on the toilet seat and still feels nice to your little one! 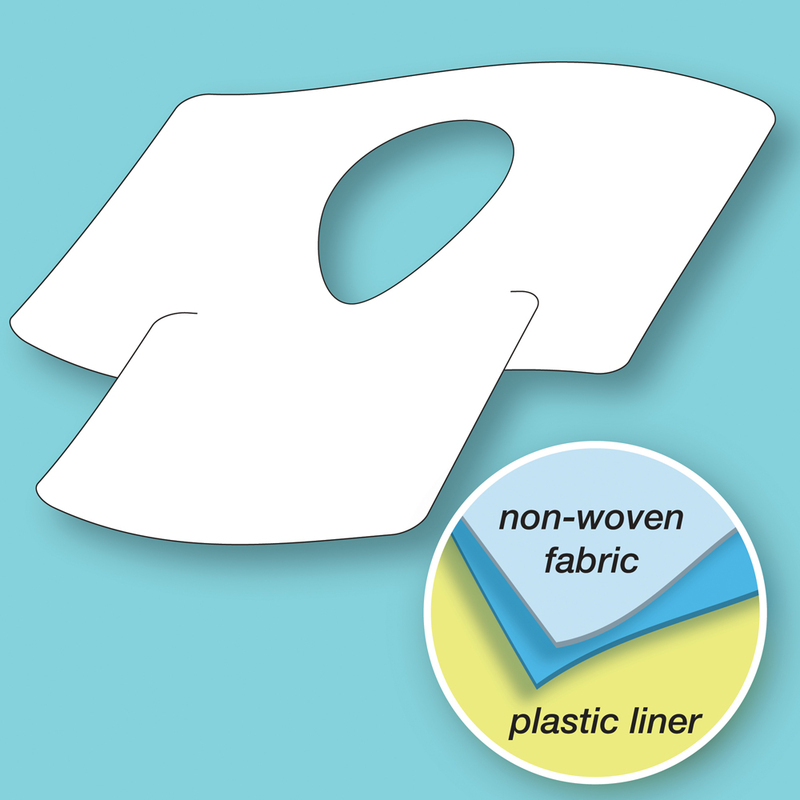 Another great thing about this product is that each package includes 5 Potty Covers and each of the five is individually wrapped in it's own little bag so they are perfect for throwing into your diaper bag when your on the go with no worries of leaks from bottles ruining them before you need them! I will defiantly be adding one to my diaper bag from now on. 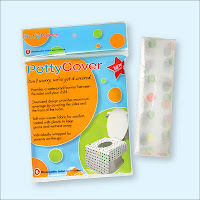 Get your Potty Covers by going to their website.http://www.pottycover.com/ or enter to win a package hereI received one or more of the products mentioned above for free using Tomoson.com. Regardless, I only recommend products or services I use personally and believe will be good for my readers.